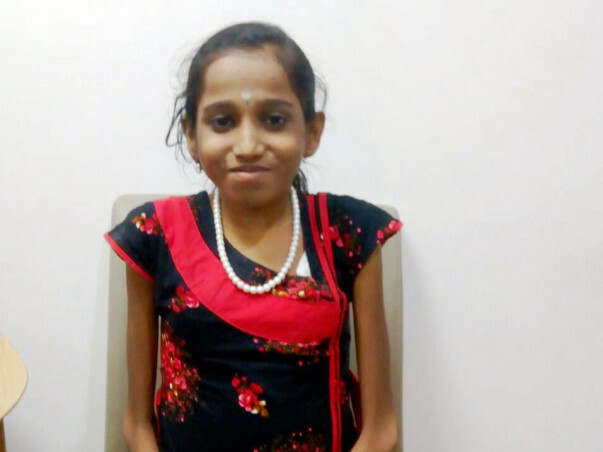 Since she was just three years old, 14-year-old Peyusha, daughter of Prameela, had been suffering from severe liver and kidney problems. 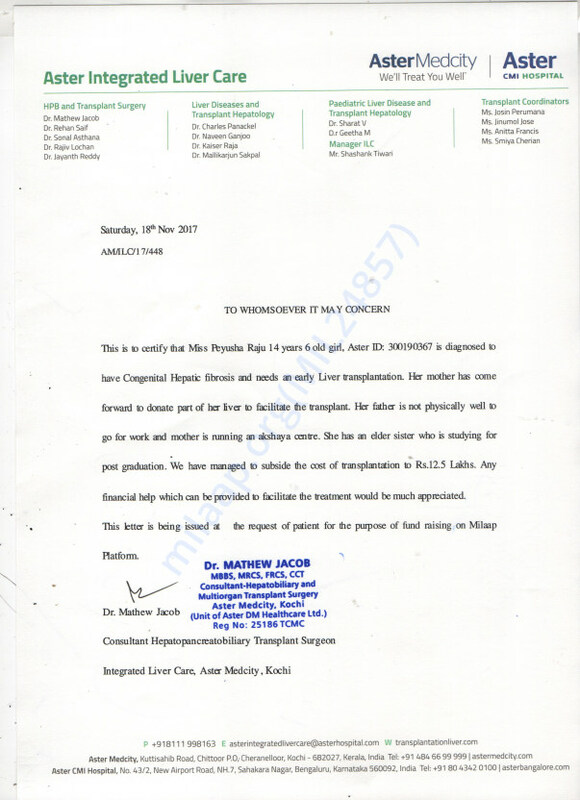 Her condition is becoming more and more critical and upon diagnosis, she came to know that she is suffering from Congenital Hepatic Fibrosis which is a rare disease that affects both the liver and kidneys and can become life-threatening if not taken care of. Peyusha has been advised to undergo a liver transplantation with her mother as the donor. The total cost of the transplant is around 12 lakh Rs. This is far too much for Prameela to afford as she is the only breadwinner of the family. Her husband is chronically ill and cannot work, adding pressure on Prameela even further. She needs our help. Your contribution can give Peyusha the treatment she deserves. Disclaimer: 100% of funds raised will be transferred towards Peyusha's treatment. Every contribution will be matched to raise funds faster and help Peyusha. This fundraiser campaign is supported by The Pravin Agarwal Fund. Peyusha is doing well now after her liver transplant. She was discharged and she keeps following up with the doctors. The family is extremely thankful to each one of you for the love and support which you have shown towards Peyusha. Hence, we will be transferring the remaining funds for Ashisha's treatment. Please do write back to us for any other concerns. Thank you for the love and support you have shown Peyusha. Currently, she is at her hometown and doing a lot better. She has shown good signs of improvement. She has to visit the hospital for regular follow-ups. Wish her a speedy recovery. Thank you once again. Peyusha has recovered well post operation. She is doing well at home and there were regular follow ups but so far no complications were detected. She is living a life like any other normal kid. Her parents are extremely happy to finally have her home. They sincerely thank each one of you for the love and support which you have shown towards her.